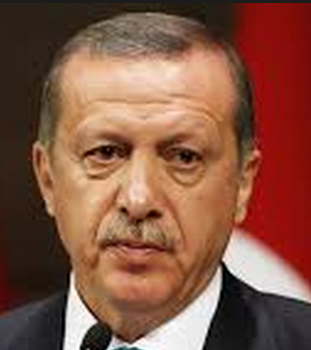 President Recep Tayyip Erdogan harshly criticized Egyptian President Abdel Fattah el-Sisi on Monday after Egypt asked Interpol to issue a red notice for a Qatar-based pro-Muslim Brotherhood cleric, saying science cannot be subservient to politics. The leaders of Egypt’s banned Muslim Brotherhood, who were asked to leave Qatar in September after pressure from other Gulf Arab countries, relocated to Turkey, following a welcoming statement by President Erdo?an, according to reports circulating in Turkish media. A 2011 report report authored by the GMBDW editor concluded that since 2006, Turkey has become a new center for the Global Muslim Brotherhood. That report also detailed Erdogan’s ideological ties to the Global Muslim Brotherhood network, ties which date back to Erdogan’s affiliation in the 1970s with the World Assembly of Muslim Youth (WAMY), a Saudi charity with known connections to extremist and terrorist groups. Last month, the GMBDW reported on that Israel has arrested dozens of members of a Hamas terror network said to be funded and directed by Hamas officials in Turkey. Earlier this week, the GMBDW discussed a report titled “Antisemitism Hits New High In Turkey” that examines the starling rise in antisemitism that has accompanied the government of Turkish President Recep Tayyip Erdogan. The GMBDW was also the first Western media to report on the INTERPOL Red Notice issued for Qaradawi as well as reporting that Qaradawi has denied inciting murder. Whatever the basis for the Egyptian charges, Youssef Qaradawi is considered to be the “spiritual guide” for Hamas and his fatwas in support of suicide bombings against Israeli citizens were utilized by Hamas to justify their operations. He is also known to have called for attacks on US troops and civilians in Iraq.